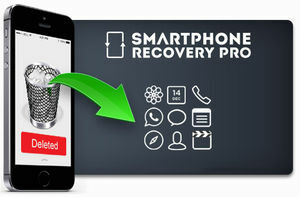 The Smart Phone Recovery Pro For iPhone has two main features: Recovery and Retrieval of iOS data. Recovery will recover as much deleted and removed data from the device as possible. Retrieval will copy all of the data currently on the device, such as messages, photos, and video. Our newest software is also the most up date you can find, supporting the newest iOS 8.3!